Springtime is sneaking up on us in Atlanta. We spent yesterday posted up at an outdoor brunch spot, and it's definitely my favorite time of the year. In house news, we have been talking about what the design details of the exterior of our home will look like post renovation. 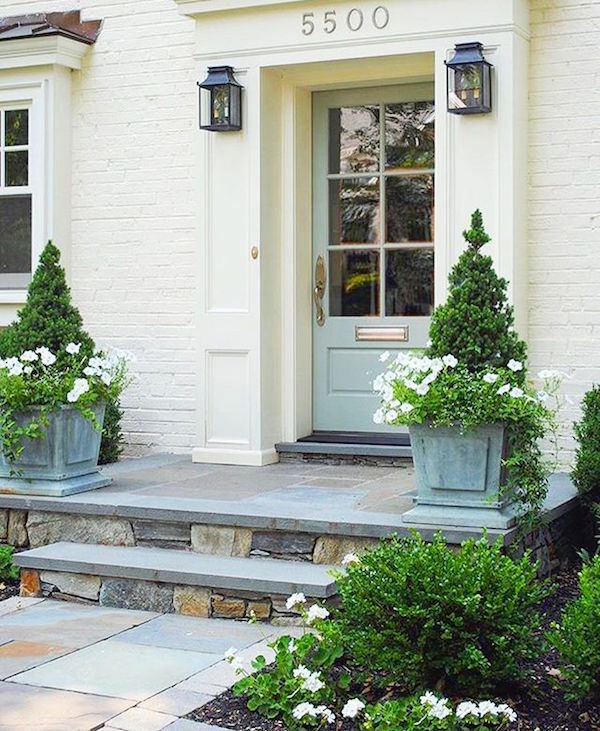 Last week, I shared a new color trend I am loving for front doors, but don't worry our blue door isn't going anywhere. 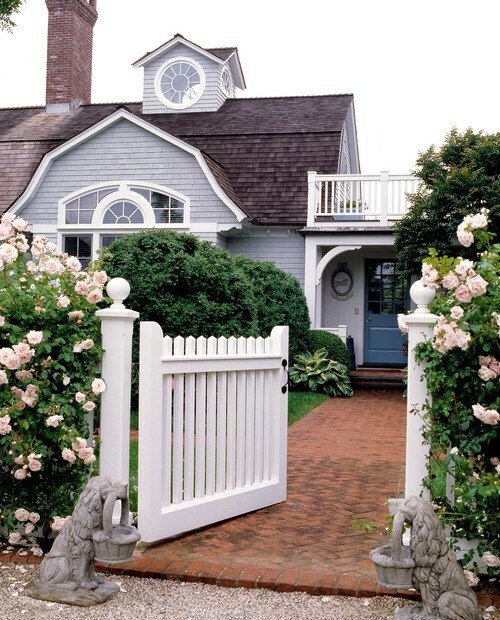 (after all this is Blue Door Living :) Today, I wanted to share some blue and white exteriors that are inspiring us from blue doors to blue stone.